How to arrange a Humanist Wedding Ceremony or Symbolic Ceremony? Especially with couples who wish to celebrate a wedding which is not bound to a certain confession, symbolic weddings are very popular. You can choose either a humanist wedding ceremony not bound to any religious confession or a religious blessing. Also for couples of different cultures, a symbolic marriage is a good option as elements of the two different cultures can be integrated in the ceremony. Thereby, a symbolic wedding in Italy is – especially for couples with different or no confession – a good alternative to a church wedding. Usually, a symbolic wedding is celebrated in addition to a previous civil wedding. As there are no traditional restrictions, the symbolic ceremony can be designed individually. Like this, the bridal couple can plan their marriage in a very personal way: for a symbolic wedding in Italy, there are no restrictions concerning the wedding location – from a luxurious villa over a romantic Italian garden up to a beach wedding: a symbolic ceremony in Italy can take place anywhere. Also concerning the contents, the ceremony can be designed according to the bridal couple’s individual wishes. Usually, a symbolic wedding contains elements like vows, music, poetry or readings. Further, it is also possible for the family or friends to participate in the ceremony and thereby to design it very personally. As an example, a symbolic wedding can start with some welcome words and the presentation of the witnesses. This part is followed by a symbolic action which can be for instance a unity sand and candle ceremony. Afterwards, there are the vows, the exchange of rings and the family’s greetings. Finally, the ceremony is rounded off by some concluding words by the leader of the ceremony. 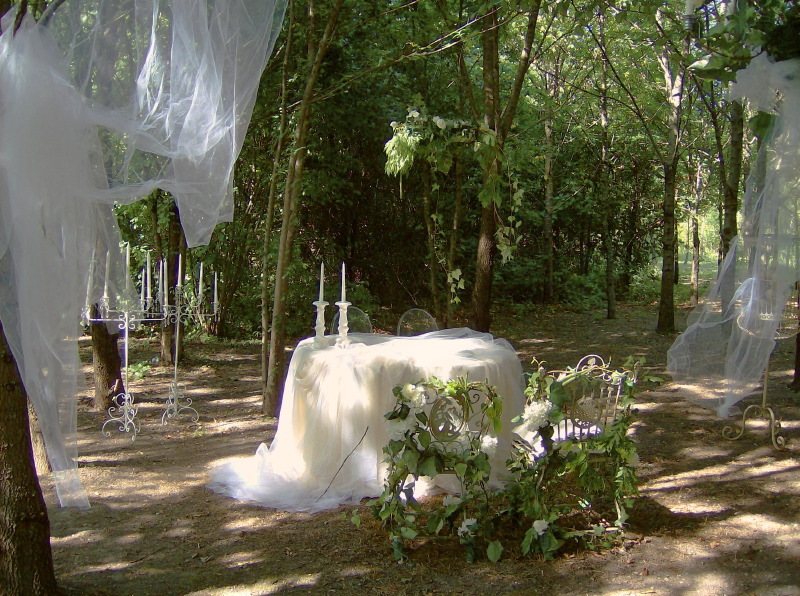 However, this example is only one example of how a symbolic wedding ceremony can be designed. Be it a religious blessing or symbolic elements such as a united sand and candle ceremony like in this example, which is supposed to symbolize the couple’s eternal bond – there are no limits concerning the design of your individual symbolic wedding in Italy!